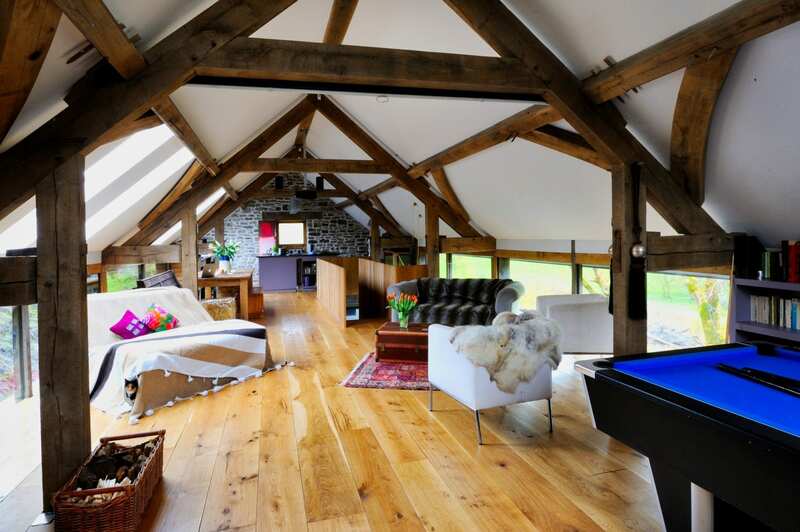 Not actually in the Cotswolds, but owned by friends and set in 81 acres of private woodland in mid Wales, Red Kite Barn is the perfect romantic bolthole or just to get away from it all. 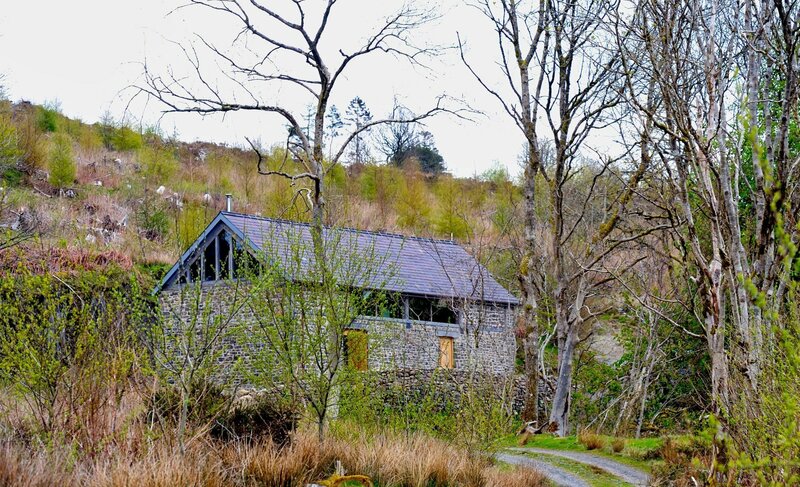 Set in 81 acres of private woodland in mid Wales, the barn is the perfect destination for romance or to relax and get away from it all; and perfect for solitude and quiet. 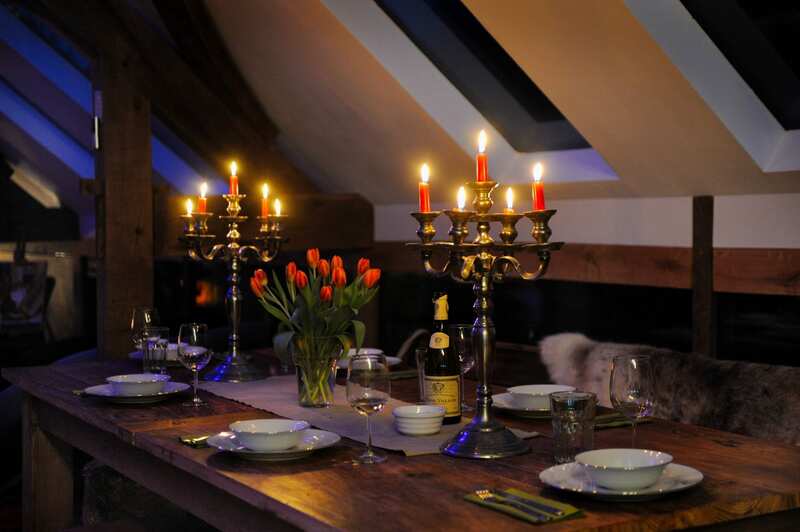 The barn is a beautifully designed, spacious hideaway for romantic breaks and special occasions. 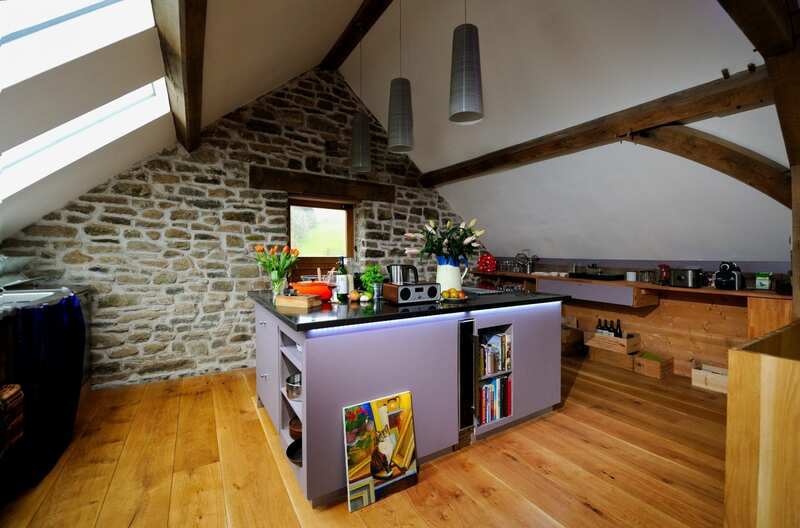 This original 19th century, traditional stone agricultural barn has been meticulously restored. 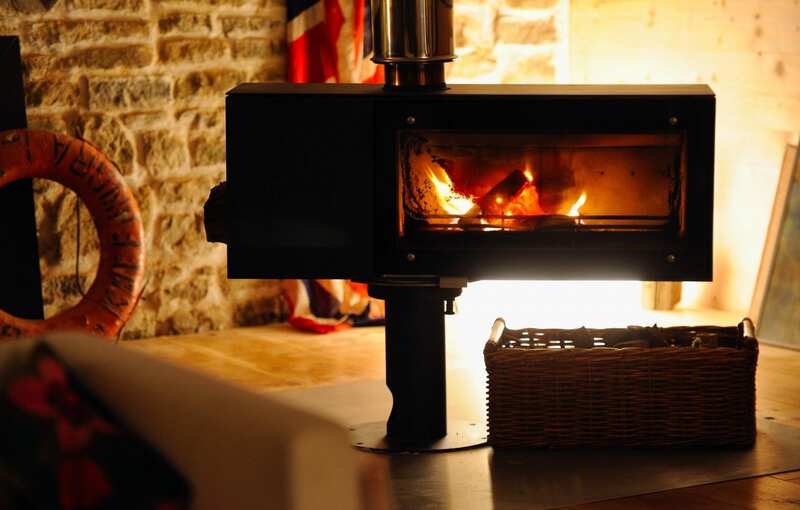 The exposed stone walls, solid oak floorboards and locally salvaged purple Welsh slate adds character, while underfloor heating and a super-efficient German wood burner makes staying at this unique property an experience like no other. 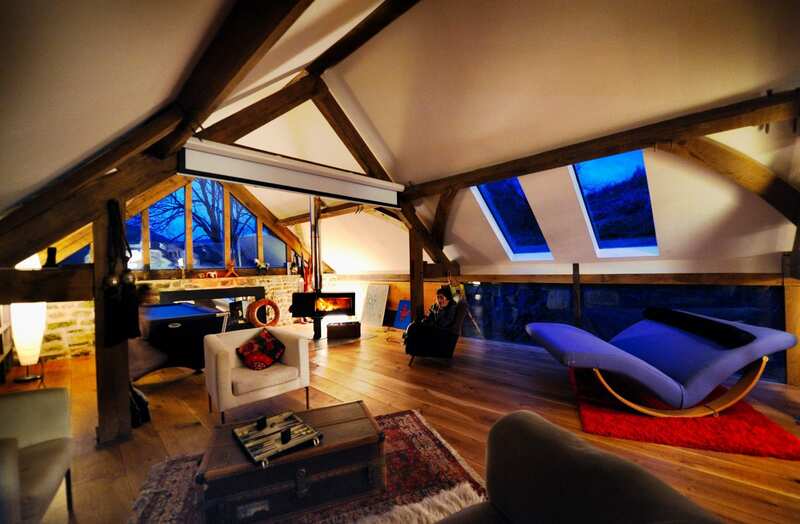 Fantastic natural light floods the top floor of the barn, where long glazed panels and glazed gable end give for far reaching views down through the wooded valley and across the adjacent National Trust Moorland. Nestled within its own private 81 acres of woodland, there is a liberating sense of inside and outside space which is the perfect antidote to the stresses of modern day life. 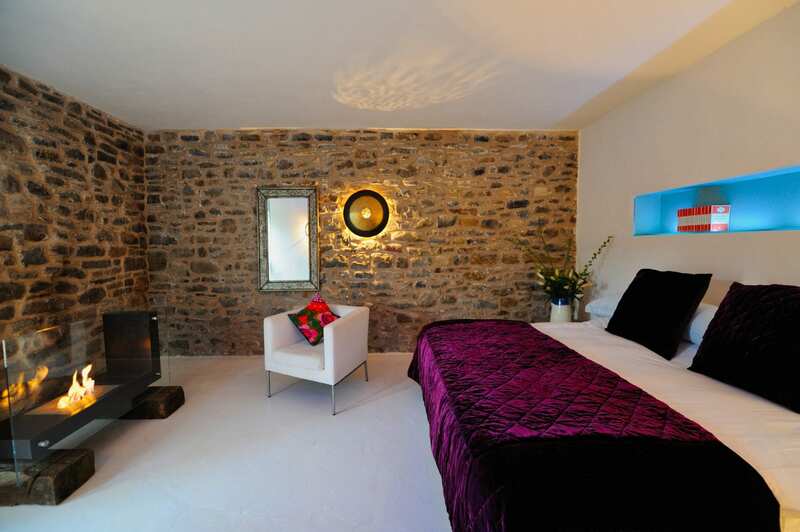 The property has a luxuriously furnished master bedroom with en-suite bathroom with a low, Moroccan-influenced bath with fibre optic overhead shower. Up the contemporary , architect-designed cow skin hung oak staircase, lies a surprisingly light and spacious open-plan kitchen, living and dining area. It boasts sweeping views of the beautiful surrounding countryside, with frequent sightings of red kites which can be enjoyed from the kitchen whilst you cook, or at the reclaimed elm table over a meal. Relax over a game of pool, choose a book from the eclectic selection in the library corner, or watch a film on the over-sized projection screen whilst the wood burner crackles in the background. For those seeking more active pursuits, there is mile after mile of glorious moorland to explore, nature to observe, wild swimming, mountain biking, horse riding, al fresco yoga or simply a bracing walk after the hills to the local pub. If accommodation is required for additional guests, there are also two self-contained ‘Tree Tents’ each sleeping 2 people, in the surrounding private woods, offering an exciting, unique glamping experience.